The temps will drop soon, changing the landscape and our habits. Instead of laying out in our yards or playing at the park, we are instead raking leaves and plodding through the pumpkin patch. 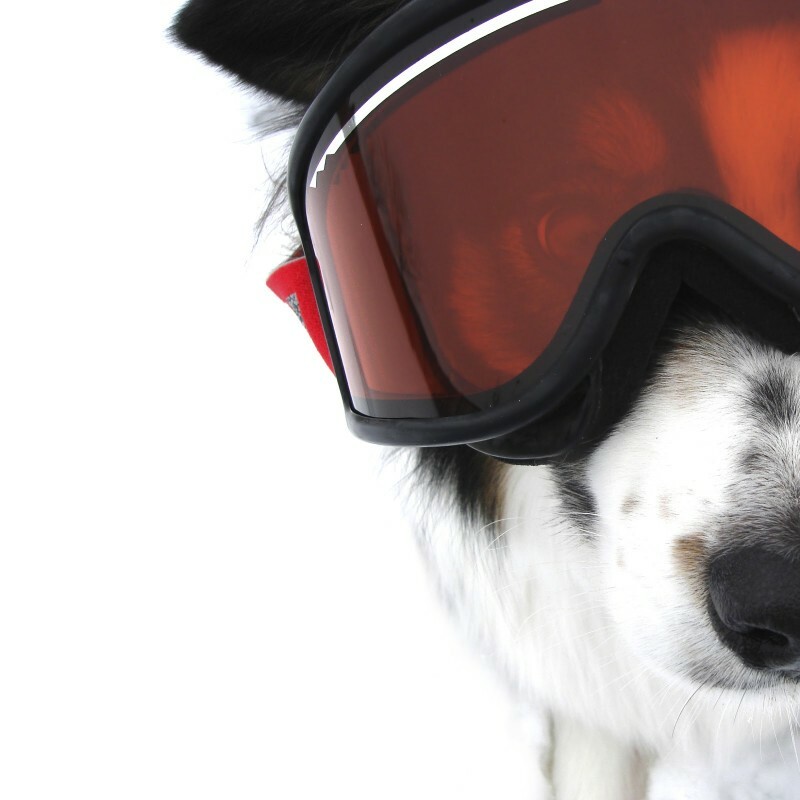 Not surprisingly, the fall and winter months present their own unique challenges for pet owners. Pets can suffer from extreme cold, just as they can from extreme heat, and it’s best to be aware of what your pet is up against as the temps begin to dip. So bundle up and learn a little more about cool weather and pets. 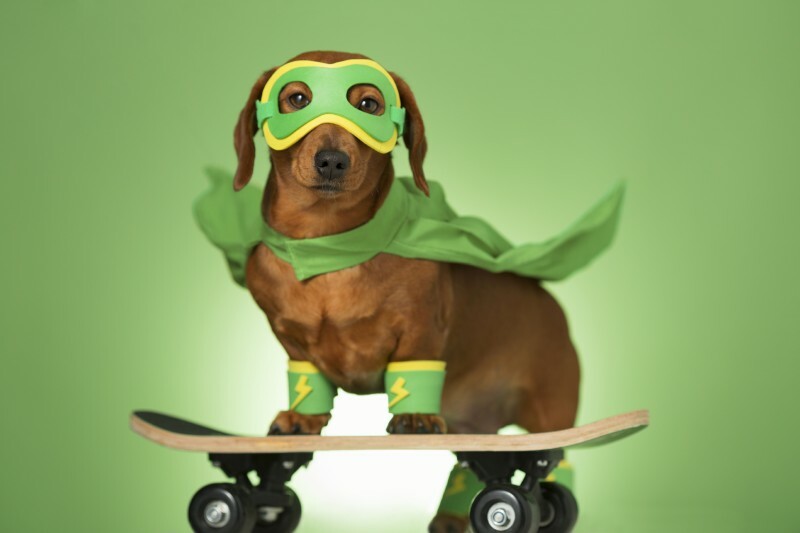 Halloween Pet Costumes: Is Your Pet Really Ready? Trick-or-treat! As the Halloween frenzy kicks into full swing, it’s hard not to get into the spirit of the season. Festive and frightful lawn decorations line the street. Drug store aisles are filled to the ceiling with treats. And, of course, all of those adorable pet costumes are just waiting for your purchase. Halloween is an exciting time for many families; the painstaking selection of costumes, decorating the house and yard, and getting ready for an evening filled with trick or treating, candy, and festivities. 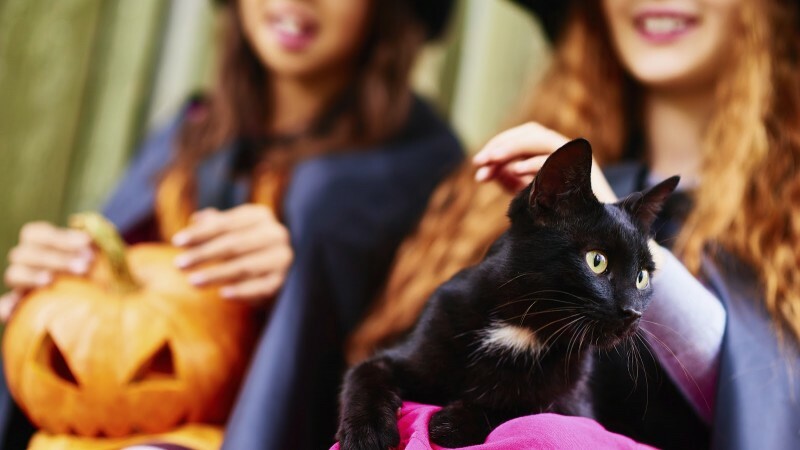 Sociable pets may also want to get in on the action and enjoy showing off an adorable pet costume or greeting the endless parade of tiny superheroes and princesses that ring the doorbell Halloween night. But for many pets, Halloween can be a truly frightening time.